These are the best spring festivals across the U.S. you can’t miss! 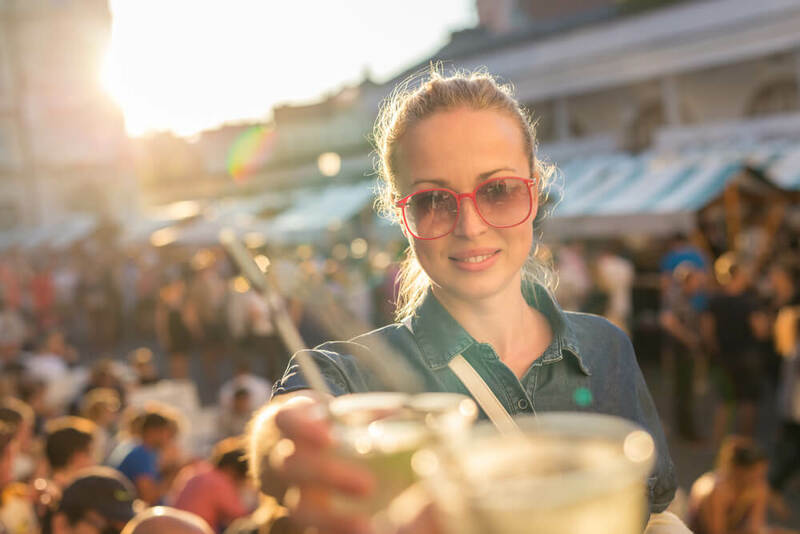 Warmer weather calls for happy frolicking with your friends and loved ones, whether you go to the beach, hit a small town or a major music festival and the U.S. knows how to celebrate that with some of the best spring festivals in the world. The best festivals in the U.S. have landed a place on this list because they have every single thing that you could possible want: great music, amazing food and they are hosted in the best of venues – outdoors of course! – so you soak up the wonders of spring. Between spring food festivals and three-day adventures, the soul lovers, the hipsters, celebrities and whole families alike can enjoy these events, including the little ones of the bunch, because they are designed to be fun and carefree while providing a safe environment for everyone in your home. So, since it is already that time of the year and you are probably ready to start planning your calendar, we’ve rounded uptake best spring festivals the U.S. hosts, where are they happening and what can you expect from the experience. Known as the “nation’s greatest springtime celebration” this festival lasts for 3 weeks and more than a million people attend yearly. Visitors can enjoy the true beauty of over 3,700 white and pink cherry blossoms that have been a tradition of the nation since 1912. For those who enjoy great music and even better food, the Coast Crawfish Cook-Off is a yearly celebration that hosts the best singers of blues combined with flavorful and spicy southern cuisine. Definitely one of the best spring food festivals in the nation. Held since 1875, this is the oldest continuously celebrated sporting event in the country. Combining several types of races, a traditional parade, hot-air balloon rides and the nation’s largest firework show, this is one event you won’t want to miss. Considered one of the best festivals in the U.S., Coachella gathers celebrities, socialites and artists from all over the world. A 3-day celebration of indie art, world musicians and extravagant food it is – with reason – an experience of a lifetime. As one of the best spring festivals, this particular event revolves around great wine and delicious food. For the true foodies out there, this annual celebration hosts 80 cooking demonstrations, wine seminars and tasting events for three days. For the beach lovers and the smallest adventurers in the family, this sand castle festival competition is the biggest display of sand sculptures the country sees on a yearly basis. Live music, food and crafts are part of package that sees around 100,000 visitors every year. For those that enjoy playing in the sun and dancing barefoot, this beach festival hosts everything that you can imagine from amazing musical performances, beach volleyball, art, delicious food, a hammock beach, and “the Big Tap,” pouring local and craft beers. Did we mention they have waterslides, too ? Another one for the books, this is one of the best spring festivals in the U.S. and with good reason. Held in one of the country’s most vibrant and culturally-rich cities, this one showcases the best food from the top 75 restaurants in NOLA, amazing wine tasting and the rhythm of blues. That sounds like perfection. These spring festivals have gathered notoriety through the years because they really pack the best of the best for every member of the family. With all this information in hand, now it’s time to start packing, wouldn’t you say? !